Yes, breastfeeding. 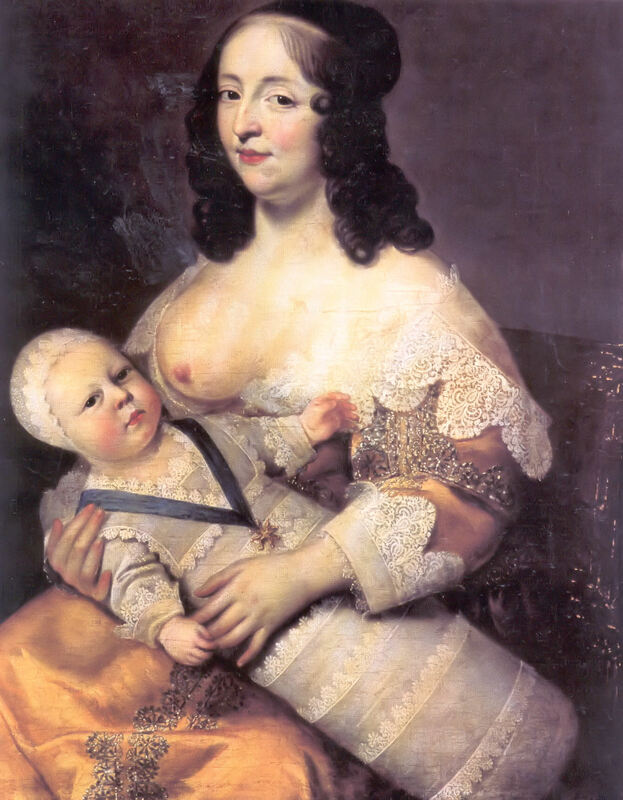 A very common re-enactment question, how did 17th century mothers breastfeed babies while being trussed up in stays or bodices? I haven’t found any British illustrations as yet, so in this case we have to fall back on Dutch Genre paintings, of which there are plenty. Update 7th Jan 2012: Thanks to the girls at Ravelry and the Historic Photos & Prints of Breastfeeding page on Facebook I’ve been able to add a few more pictures, including a British one! Very good illustration of the breast over bodice technique. Madonna and Child, Orazio Gentileschi, c. 1609. Click on picture to go to large image. Breast over bodice again. 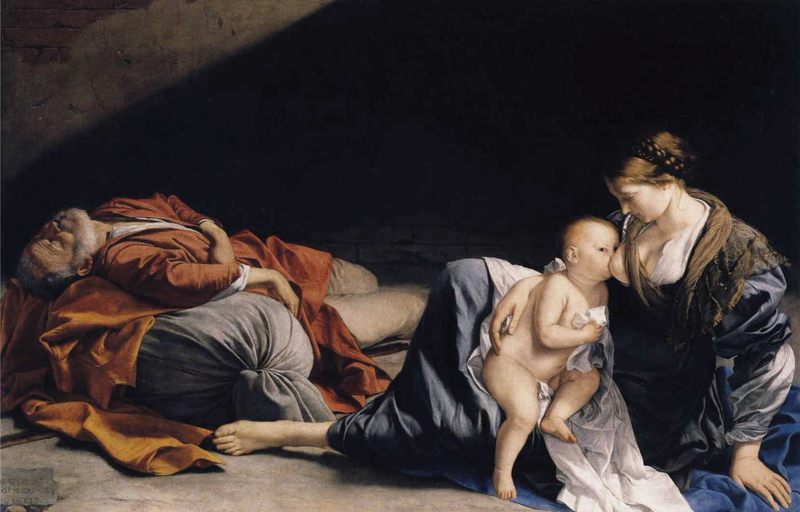 The Rest on The Flight into Egypt, Orazio Gentileschi 1625-26. Click on picture to go to large image. Here the bodice is unlaced. 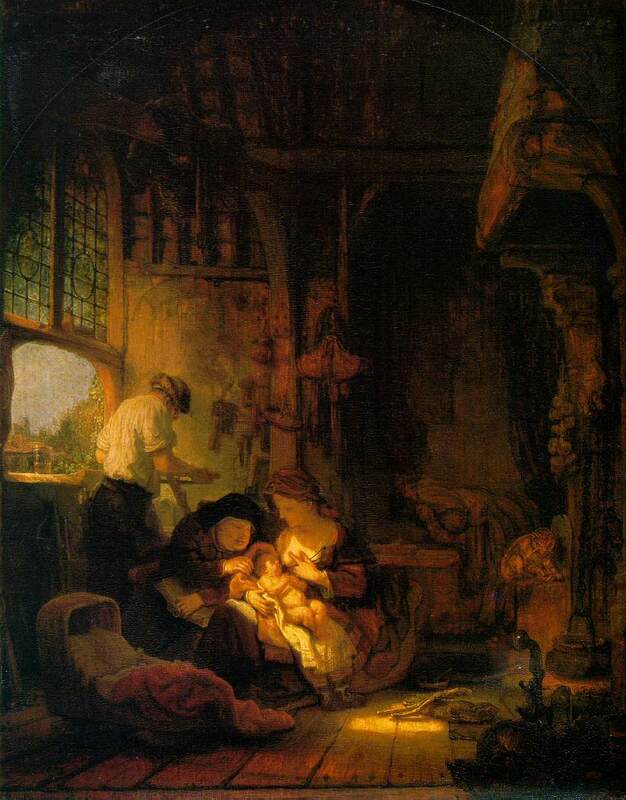 The Holy Family, Rembrandt 1640. Click on picture for large image. Breast over bodice. Louis XIV and his nurse, Charles Beaubrun c 1640. Click on picture for large image. Breast over bodice. 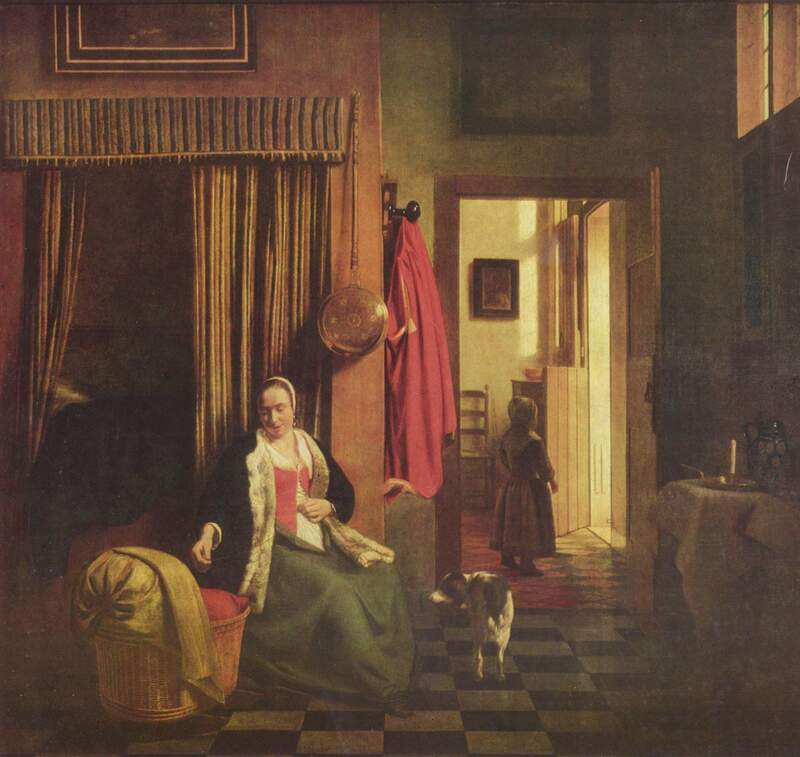 Stillende Mutter, Pieter de Hooch c 1659. Click on picture for large image. Mother is either unlacing or lacing up her bodice prior to or after feeding, this is better seen in the large image (click on picture). 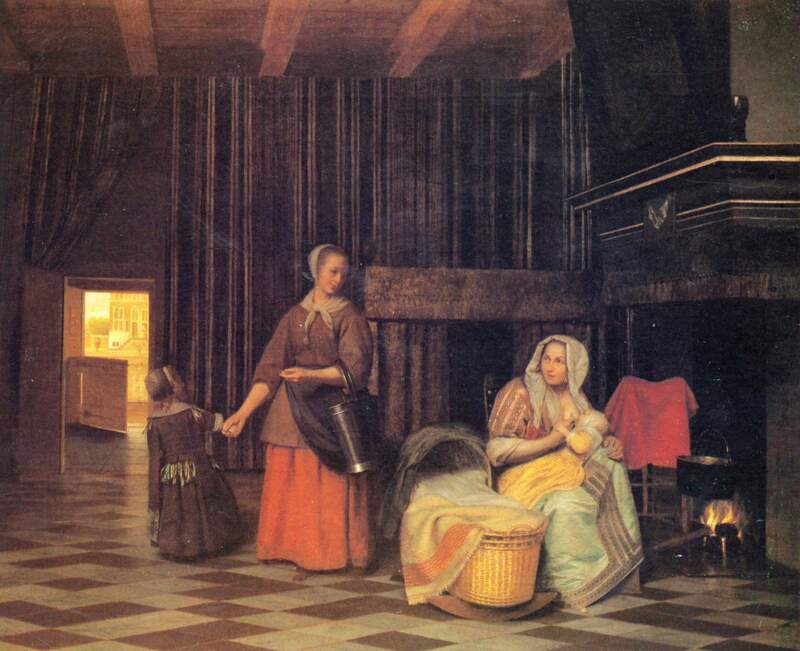 Mutter an der Wiege, Pieter de Hooch 1662. Mum appears to have lifted breast over her bodice again, it isn't altogether clear. 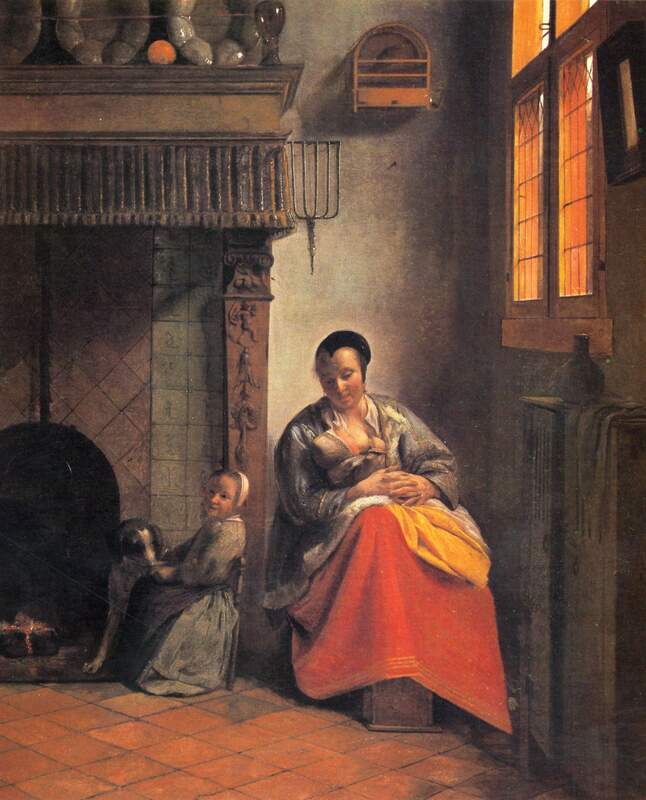 Stillende Mutter und Magd mit Kind, Pieter de Hooch c 1663. Click on picture for large image. At last a British picture! 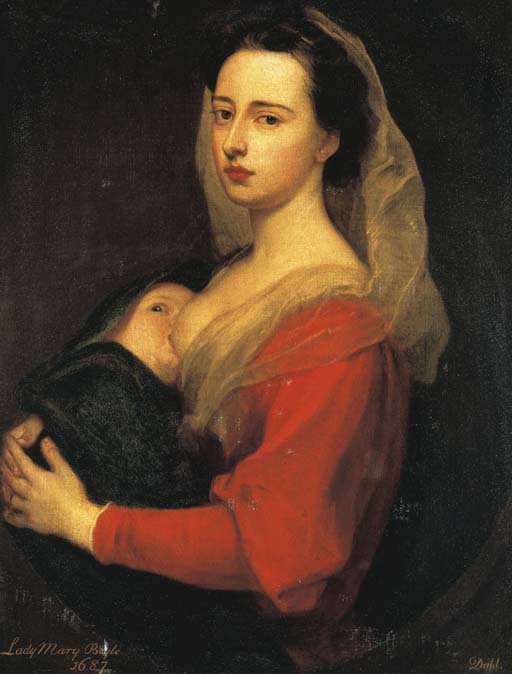 Lady Mary Boyle feeding her son Charles, breast over bodice. It was unusual for women of her class to feed their own children, perhaps this explains her look of defiance! Godfrey Kneller 1687.